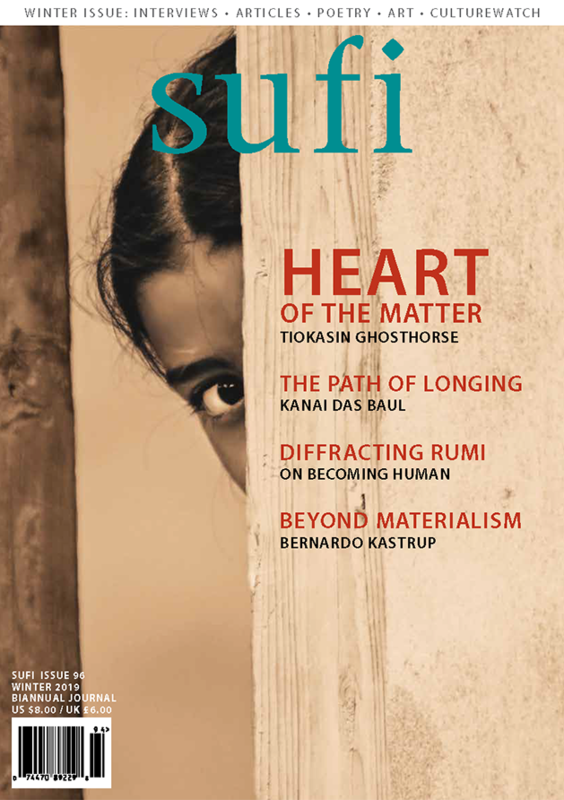 Most of us know first-hand the transformative power of music and sound to create a profoundly calming or emotional experience, and readers know our previous issue of Sufi was dedicated to sacred encounters through music. In their carefully researched essay Shamanic Traditions and Sufism, authors Azize Güvenç and Yousef Daoud take us into the amazing life and work of Dr. Rahmi Oruç Güvenç, a Sufi shaikh and master musician of Turkey who provides healing to the sick through music therapies that fuse Sufism with ancient shamanic practices from Central Asia. Güvenç and his musicians combine music, movement and dhikr to awaken body, mind and soul. And researchers in Europe, the United States and Turkey are studying the positive effects of Güvenç’s sound and movement therapies on patients suffering from cancer, bone fractures, depression and other maladies.